We are a little more than 1 day away from the end of the Geek Theater Kickstarter project closing, and we’re still $500 away from hitting our goal. 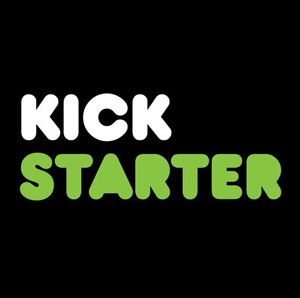 If we don’t hit our goal we don’t collect any of the funds from our backers. Since there is nothing like Geek Theater on the market, science fiction and fantasy stage play anthologies for the theater don’t yet exist, this project is especially important to us. We have some exciting plays to share and we hope you’ll join us in spreading the word…because we really can use your help. Come check out our Kickstarter project for Geek Theater, but don’t wait too long. Time is short! In the meantime, here’s the interview with Deena Warner. We hope you enjoy it! We have a special interview for you that we did with Deena Warner, the cover designer for Geek Theater. Deena was so much fun to work with and so helpful during the design process that I thought you might like to get a chance to meet her as well. We’re happy to share this interview with you and we’d like to thank Deena for taking the time out of her busy day to answer a few of our questions. You’ve done a number of book covers within a variety of genres. What is it about book covers that you most enjoy? DW: Covers are a reader’s first experience with a book. They give a visual clue about the content—what genre, what tone the book will have. I like the challenge of synthesizing a book into one representative image, one that will jump out from a sea of others. Who are some of your influences as an artist? Do you see any of those influences within the design of the Geek Theater book cover? DW: I am a fan of artists who play with light. Caravaggio is a Renaissance artist known for his dramatic lighting, especially on the human form. William Turner is a Romantic painter who did amazing landscapes. Chris Van Allsburg is a children’s book illustrator who captures light and shadow in dramatic black-and-white pieces. In the Geek Theater cover, it was fun to incorporate light of different colors and directions. The stars sparkle, the planet gives a subtle ominous backlight . . . even the words glint with highlights. When putting together the cover for Geek Theater, we share with you some basic design elements that we liked. What was your process for taking those elements and coming up with a concept? DW: I used a combination of stock photography and digital painting. I started by searching stock images for key elements: curtains, a stage, masks, planets. I layered the images, retouched sections of them to match our concept, and adjusted the colors. The traditional red velvet and wood morphed into the cool blues of metal and space. I added small touches like alien-looking text overlayed in the background. I usually rework a cover until the “aha” moment, that time when I step back and say, “Now that looks like a real cover.” It’s trial and error (and a lot of missteps) until that point. For example, with the Geek Theater cover, we’ll be adding some of our playwrights to the front cover. When adding additional text to an image, what are some of the concerns you have as an artist? DW: Text on a cover is a key ingredient. You can have an awesome piece of art that isn’t coupled with good text design, and the entire cover loses its impact. Conversely, a simple or mediocre piece of art can be elevated to outstanding with typography. I strive for the text to relate to the art, to be an inseparable part of the image. For this cover, I sampled colors from the photos to use in the letters. I added depth and lighting effects to the letters so they felt like physical objects living in this setting. It’s also critical for your title to be legible from a distance. Your cover may be viewed as a tiny thumbnail in an online store. The title must pop out even when it’s shrunk down. Do you have a favorite artistic genre? If so, what is it about that genre that inspires or engages your creativity? DW: Lately, I’ve been into animation. Surely this has nothing to do with me watching movies every day with my sons! Hayao Miyazaki movies are so beautiful they make me ache. His work is natural and comforting, which allows you to accept his fantasy worlds seamlessly. When you can feel every leaf rustling in the wind and hear the babble of a country stream, how can you not trust everything the animator is showing you? Even in my non-animated, two-dimensional pieces, I try to tell stories. I want my work to seem as if it’s a still shot of a great animated film, a moment captured from a bigger story. What is your favorite part of designing a cover? I like the brainstorming phase, that time when you’re studying the source material to invent imagery. I may have the entire finished text or only a description of the contents, but my job is to develop a picture that represents the work as a whole. It’s fun to explore different paths to follow. What are some of the biggest obstacles that you face when working on a cover design? DW: My biggest challenge is always time. My husband Matt and I work hard to manage our time well—with two kids and a home business, structure is critical. I’d love to be able to spend weeks and weeks losing myself in artwork, but there isn’t time for that right now. I have learned to listen to my inner voice that tells me when the time is right for each work I do. Staring at a blank canvas or screen isn’t an efficient use of time. I’m usually poring over several projects in the back of my mind, and when one bubbles to the forefront, I know that’s the one to dive into. Do you have a favorite project? What was it about that project that makes it stand out for you? DW: My favorites are always the ones I get to do for Matt’s work. I’ve done four of his book covers and a handful of other illustrations for his short stories. We talk about cover ideas over meals and swap sketches of concepts. I know his work better than anyone else’s because I’ve been there for the whole journey. I know the overarching themes and the subtle nuances—how each work stands alone and how it fits in with his body of work. There’s less guesswork involved, and I get immediate feedback. At a core level, I simply love working with him. If anyone would like to learn more about you and the covers you have created, where can they get additional information? We hope you enjoyed the interview with Deena Warner, who was a delight to work with on this project. We’re only $700 and 2 days away from hitting our Kickstarter goal, and the good news is that more backers are joining everyday. Thank you for helping to spread the word and for sharing Geek Theater with your friends who enjoy science fiction, fantasy, and theater!